Get smooth, radiant and flawless looking skin! 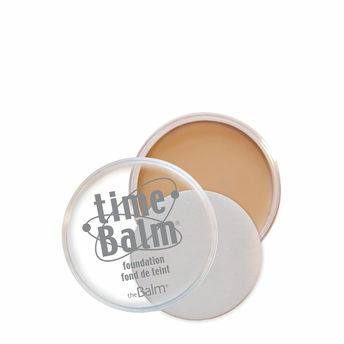 TimeBalm foundation is a vitamin enriched foundation that works as a perfect base makeup and evens out the skin tone completely covering blemishes, dark spots.The foundation is Paraben-free, non-comedogenic, and perfect for all skin types.The beneficial ingredients: Vitamin A, C and E, Soybean Oil, Panthenol, Linoleic Acid, Phospholipids, and Beeswax, create a powerful cocktail that combats wrinkles and protects your skin from environmental stresses. - Even coverage that conceals all blemishes, dark spots. - Gives smooth, flawless application. - Enriched with Vitamin A, C and E, Soybean Oil, Panthenol, Linoleic Acid, Phospholipids, and Beeswax. - Combats wrinkles and protects your skin from environmental stresses. Explore the entire range of Foundation available on Nykaa. Shop more theBalm products here.You can browse through the complete world of theBalm Foundation .